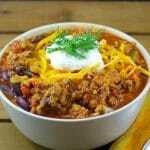 You are here: Home / Recipes / Easy Dinner Recipes / Quick & Easy Pork & Beef Stovetop Chili: The Best Chili! I entered a chili cook-off at work many years ago during Stampede. And at the time, I thought my chili was pretty wonderful. I’m usually not a very boastful person about most things, but I can be a pretty conceited when it comes to my cooking. I tend to think my recipe is the best recipe. And although it’s often justified, sometimes I’m put in my place. It’s Calgary Stampede time again and if you live in Cowtown that means a few things when it comes to food: Weird and sometimes gross, new Stampede foods on the midway, beef on a bun, free pancake breakfasts, mini donuts and chili! And although chili is quintessential cowboy comfort food, in my books, it’s far from possessing any ‘wow factor’. 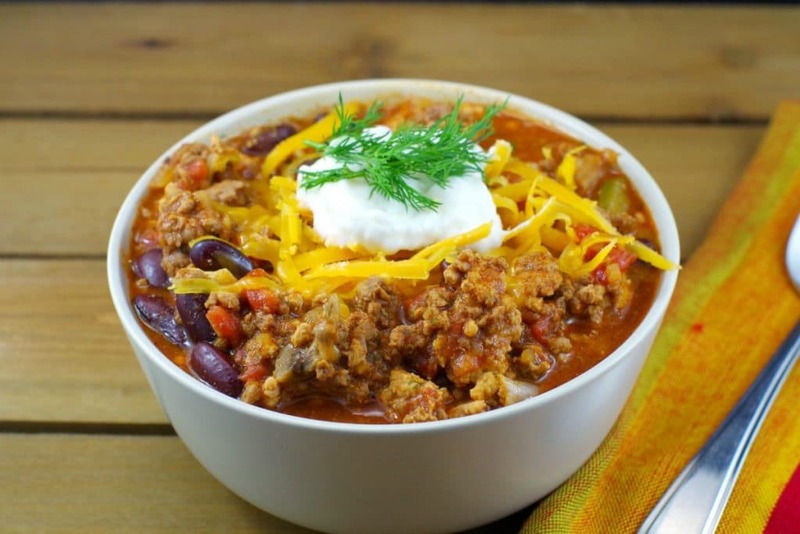 But THIS quick and easy Pork & Beef Stovetop Chili will seriously knock your boots off! When I first tried this chili, I was completely blown away! This stovetop chili was so unique and completely different from anything I’d ever had before. Yet, there was something familiar that I couldn’t put my finger on…. It was the dill. Yes, dill in chili. I know it sounds odd but does it ever work! But the dill needs to be fresh. I don’t recommend using dry. Aunt Norma (my husband’s aunt, from whom I originally got this recipe) picked the dill straight out of her garden. I buy it from the store and it’s still amazing. So you don’t have to grow your own dill to make this recipe sing, but you do have to use fresh dill. This is critical. I’m a little crazy about dill. Perhaps it’s the Ukrainian in me because my Dad tells me he’s the same. But funny enough, I didn’t get this recipe from my Ukrainian side of the family (or my husband’s Ukrainian side). None taken. They were bang on. It was recommended that we try it atop mashed potatoes. Say what?! I had never heard of anything so odd, but I’m a relatively adventurous foodie (and I didn’t want to be rude) so I gave it a go. And OMG! Why had I never eaten chili on top of mashed potatoes before? I couldn’t believe what I had been missing! I didn’t win that chili cook-off at work all those years ago. And to be honest, I was a little deflated. And that was long before I even started cooking competitively. A team of food service staff (cooks etc.) won. And given their professions, I didn’t exactly feel “put in my place.” And although their chili was pretty good, it still pales in comparison to this one. Now this chili … this definitely put me in my place! Since making chili during Stampede is just what you do, you’ll need the best chili recipe- this one! It’s a quick, easy and unique chili recipe that’s done on the stovetop in under 30 minutes. And it’s perfect for a quick one-pot dinner, very freezer friendly and great for feeding a crowd of happy Stampeders any time of the year! Beef on a bun is another favourite during Stampede time in Calgary. But it can be time-consuming to make. So, for those who are looking for something quick and easy, try my “The Calgary Stampeder” aka Speedy Beef on a Bun a try! 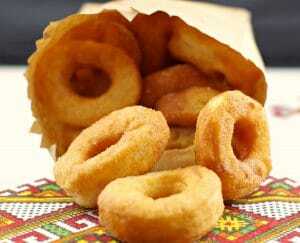 And these mini carnival style donuts (Pampushky- Ukrainian doughnuts) are the perfect Stampede snack or dessert! This quick and easy homemade stovetop chili uses both pork and beef for an incredible depth of flavor. But fresh dill is the magic ingredient! Seasoning mix and canned tomatoes make for a fast dinner and the perfect chili for feeding a crowd in a hurry! 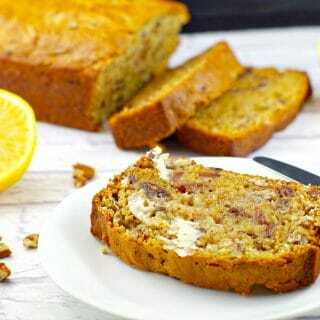 6 Weight Watchers Freestyle Points per serving. 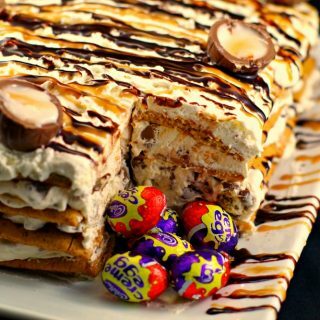 Double, triple or quadruple this recipe if you are feeding a larger group! 2 tbsp fresh dill finely chopped **FRESH dill is a must! Fry the ground pork and beef with diced onion and peppers. When the meat, onions and peppers are browned, add the diced tomatoes, tomato soup, chili mix, cumin, kidney beans, minced garlic and mushrooms. Simmer for 10 minutes, then add fresh dill. Serve on top of 1 cup of mashed potatoes. *Optional but highly recommended! * Mashed potatoes are included in Weight Watchers Freestyle Smart Points calculation. Top with sour cream, dill, green onion and grated cheese, if desired. * 6 Weight Watchers Freestyle Smart Points per serving (includes mashed potatoes) However, if you use instant mashed potatoes, you need to account for that difference. ** If you are going to use mashed potatoes, I recommend Honest Earth brand - they taste the closest to REAL mashed potatoes I've ever tasted! This weekend is part ofThe Country Cook’s Weekend Potluck! 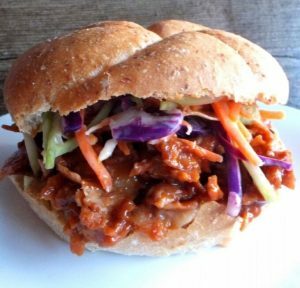 Previous Post: « Slow Cooker Healthy Pork Carnitas (Gluten-free) & The Wild Mountain Music Festival giveaway! It looks like a winner recipe to me, Terri! 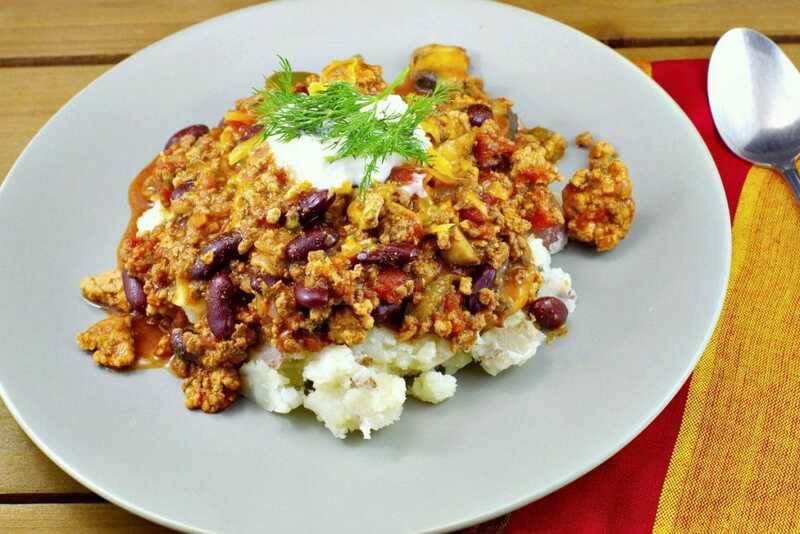 The fresh dill is an awesome addition to the ingredients and I am sure to the overall flavour of your Quick and Easy Pork and Beef Chili (love that you used a pork and beef combination, included WW points and served it atop mashed potatoes, too). I cannot wait to try your chili soon! I usually make chili quite a bit, especially in the fall of the year. I never thought to add fresh dill, or to use it as a topping for mash potatoes! Both brilliant ideas! This is BY FAR the best chili I have ever made and tasted!! So easy, so yummy and the fresh dill is the deal breaker. I would give it 6 stars if I could. Thank you for sharing Teri! !